Give your customers the Royal treatment with polished, professional valet service. You know what a hassle it can be to find a spot in a crowded parking lot. Valet parking service saves your guests time so they can spend it doing what they came to do: shopping, dining, visiting a patient or catching a flight. More convenience means a better overall experience for your customers. Royal Parking is experienced in providing Five Star, Five Diamond valet service for prestigious establishments including the Ritz-Carlton, The Umstead Hotel & Spa, Ruth’s Chris and more. Each employee is trained to meet Five Star and Five Diamond standards in an effort to maintain high ratings for each establishment we serve. Impress your diners even before they step foot in the door. Our valets treat every customer to the same exceptional Five Star, Five Diamond service. Benefits include increased customer loyalty and maximized parking capacity. Royal Parking customizes its valet training program to each hotel so our parking attendants integrate seamlessly into your property. Our valets are cross-trained, making them able to perform a range of duties including doorman, bellman and other transportation duties. When you’re in a hurry to catch a flight, navigating a crowded parking deck just adds stress. Royal Parking provides hassle-free airport parking, as well as fully customized comprehensive parking and shuttle solutions. From small, intimate dinner parties to sold out arenas, Royal Parking valets are at your service for your next special event. We provide everything from directional attendants and shuttle service to traffic control. 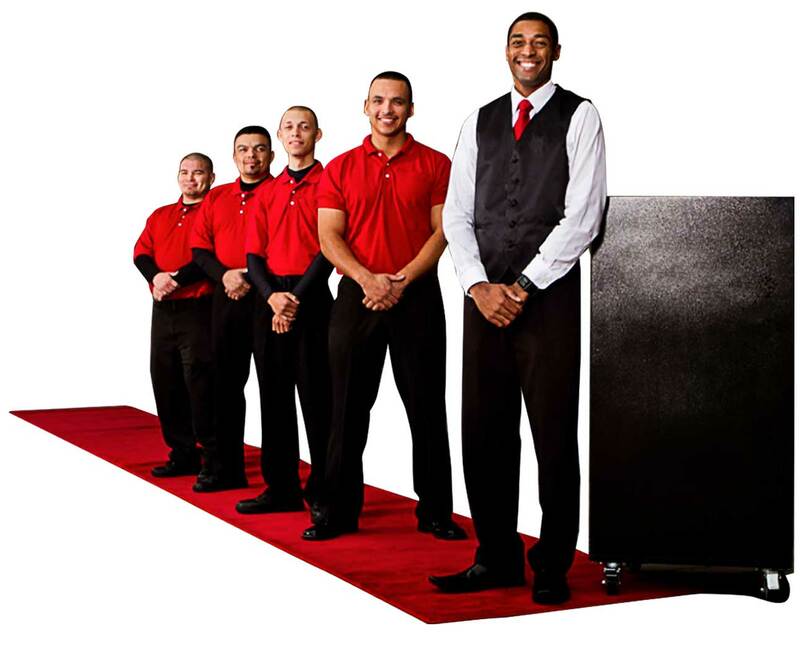 Royal Parking can also customize attendant uniforms to your event. Let mall visitors spend less time parking and more time shopping. Improve your retail center’s image with professional valet service. As a part of our parking management services, we’ll also set up an automated system to keep a detailed account of vehicles, charges and more. Our clients enjoy increased revenue tracking and control. When patients and guests visit your hospital, the last thing they want to think about is finding a parking space. Make their visit easier with the convenience of valet parking. We understand the personal focus and attention to detail that your members and guests require. Getting to know the individual members by name is only the first step Royal Parking provides in offering a personal, family-oriented approach. Royal Parking is able to provide parking services for golf tournaments, weddings, fundraisers and other events at your country club.